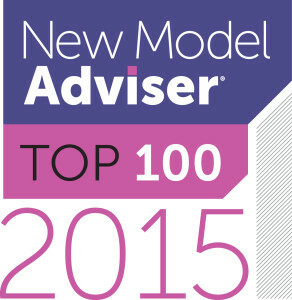 We are pleased to announce that NLP Financial Management have been included in the New Model Adviser Top 100 in 2015. This continues our success in being nominated in each of the past 3 years and we would like to continue building on this to offer all of our clients an excellent level of service. We are delighted to announce that NLP Financial Management has been short-listed in the Adviser Firm of the Year (London) category at the Professional Adviser Awards 2016. The awards ceremony will take place in February 2016 and we hope to add to our win in 2014 and ‘highly commended’ in 2015. Figures indicate that millions of people are not saving enough to meet their retirement aspirations, suggesting that Britain is heading for a pensions shortfall. To encourage more people to set aside money for their retirement, the Government introduced Automatic Enrolment legislation requiring employers to set up workplace pensions for eligible workers and make pension contributions. The measures were introduced in 2012 and will be fully implemented by in 2018. NLP Financial Management have set up numerous pension schemes for companies under automatic enrolment and are delighted to invite business owners, or anyone responsible for their company’s pension scheme, to attend our FREE breakfast seminar on Friday 30 October, at the Gherkin. Please click the link below for further information. Please call 020 7472 5555 or email [email protected] to reserve your place. Pension legislation is constantly evolving. The case study below summarises various tax efficient ways of drawing an income. If you would like to discuss your circumstances in detail, please contact one of our consultants here. Pension legislation is constantly evolving. The case study below summarises how pension assets can cascade down the generations. We are delighted to announce that we have arranged a Programme Player Kit Sponsorship with Middlesex County Cricket Club to sponsor the shirts of three of their players in the current season. The County Championship shirt for a young English fast bowler called Harry Podmore. The One Day Cup Shirt for Paul Stirling who starred for Ireland as an opener in the recent Cricket World Cup. The T20 Blast Shirt for a young English batsman who has recently broken into the first team at Middlesex called Nick Gubbins. We are delighted to be associated with our local County cricket club and wish Middlesex CCC every success in the season. Paul Stirling from Middlesex CCC commented…. We are delighted to announce that NLP Financial Management placed second in the Adviser Firm of the Year Award (London) at the Professional Adviser 2015 Awards ceremony in the City on Thursday, 12 February. We were highly commended by the judges in one of the most competitive regions. We will strive to continue to provide an excellent service to all of our clients and would like to thank all of our staff and our clients for helping us to achieve this success. We look forward to sharing further successes in the future! We are delighted to announce that we have completed the integration of Birchwood Investment Management Limited (Birchwood), who have joined the NLP Financial Management Group (NLPFM), which will result in the total group now looking after over 2,000 clients and over £550 million of funds. The two companies will still operate from their two locations in Swiss Cottage, London (NLPFM) and in Welwyn, Hertfordshire (Birchwood) and will run as separate companies, but will combine their expertise to provide clients of the group with a more comprehensive service. 14 advisers will provide advice in the merged business, 8 from NLPFM and 6 from Birchwood. 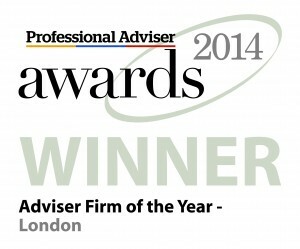 NLPFM won the accolade of Adviser Firm of The Year for London in both the New Model Adviser and Professional Adviser awards in 2014. Double Top for NLP Financial Management! We are delighted to report that NLP Financial Management has added to our recent success at the New Model Adviser awards and been named ‘Adviser Firm of the Year 2014 – London’ by the Professional Adviser magazine at an awards dinner in London. After being named the ‘New Model Adviser of the Year 2014 for Greater London’ in January, the latest success marks a remarkable start to 2014. We are extremely proud that our service and professionalism has been recognised and would once again like to thank all our clients and business partners for their ongoing support. We will strive to continue offering the best service to our clients and hope we can share more successes in the future. Auto Enrolment – Are You Prepared? Under new rules that began to be phased in from October 2012, employers are required to automatically enrol all eligible members of staff into a workplace pension scheme and pay a minimum contribution into the arrangement for the employee’s benefit. This has been described as the most radical change to employee benefits since the introduction of the National Minimum Wage. We have invested considerable resources into the Auto Enrolment process. As a starting point we urge employers to read this brief guide to understand the employer obligations and the work involved. Based on the experiences of companies who have staged, employers should begin the Auto Enrolment process at least 12 months prior to their staging date. For further information on when your staging date is, or for a free initial consultation, please do not hesitate to contact one of our consultants on 020 7472 5555, or here.